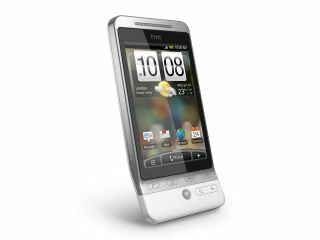 Users of the HTC Hero on T-Mobile (where it's known as the G2 Touch) won't be able to update their firmware after HTC said it wouldn't support their handset. The Taiwanese firm has released new firmware for the Hero, which was initially available for Nordic users but then recently became available for the UK. But HTC has now said it will no longer be supporting branded phones, likely because it has to deal with the skins the networks place on their own handsets. This has obviously resulted in a great amount of ire from T-Mobile G2 Touch users, who are annoyed at having to wait to get the best experience on their phone when their Orange counterparts can get it already. "Why won't t-mo give a date for anything? because if you have a deadline you actually have to deliver something?" said one disgruntled poster on the official T-Mobile support forum. However, T-Mobile has told T3 that a solution is imminent: "The upgrade is being tested and when it is ready, we'll issue it to customers." It's hoped the new firmware update will resolve this issue, which is why T-Mobile users are frustrated at being forced to wait.